Yoga is independent of any religion. There is no such thing as Christan Yoga, Buddhist Yoga, or like that. It has hardly any relation with religion. It is like Science. Science is looking the truth in the material world. Whereas, Yoga is looking the truth in the body, mind and soul. Yoga is to keep yourself and the environment in harmony and happiness. Yoga makes the mind body and soul flexible and prepare you for the eternal glorious life. Yoga makes you strong, firm and steadfast in every sense. Yoga makes this life and the life after as the place of Paradise. Yoga is to increase your faith in your own religion. Yoga is acknowledging the divine power of God within us. 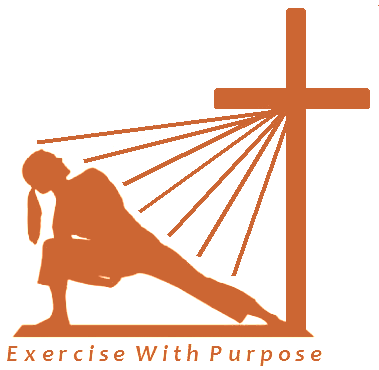 If you are a Christan, Yoga will help you to increase your faith on Jesus. It has nothing against Christianity. Yoga increases, faith on your God, godliness, brotherly kindness; and love to every being. However, I don’t fully agree with you. In Science we don’t hesitate to pay our deep respect to the great scientist like Albert Einstein or Sir Isaac Newton. Similarly, we must pay our deep respect to Lord Shiva the originator of Yoga. This is a very good topic to discuss. Priest are often against good things, because their business will suffer. Carl G. Jung the eminent Swiss psychologist, described yoga as ‘one of the greatest things the human mind has ever created.’ The word yoga is derived from the root yuj, which means to unite or to join together. The practice of yoga may lead to the union of the human with the divine. I enjoy this topic. I am a certified yoga instructor. I completed my program through Holy Yoga. I do believe, like you, that yoga is not a religion but can enhance a persons spiritual experience. Eastern religions have been benefiting from yoga for years. As a Christian who practices yoga, I find that fear is my worst enemy. Even those brothers and sisters I worship with at my own church panic when they hear I practice yoga. I firmly believe that Christ died for our sins but I also believe in living a Christ-like life. This includes loving others, accepting them and treating people as I would be treated. Yoga helps me meditate on scripture and center myself. So while yoga is correctly stated to not be a religion it is definately a practice that enhances my religious belief and practice. Thank you very much for sharing your feelings. I am very happy to learn that you have completed the holy yoga program. I wish you will make great contribution to the true spirit of yoga. Yoga is not a religion, it is a science of understanding and love. Light of Christ is within us, in our body mind and spirit. I think, yoga is the great way to express our love to Christ. It has nothing against Christianity. Fear is due to lack of understanding. Through yoga, we allow God to enter into our inner being. Yoga is the path of self-discovery; discovering the spirit of God within us. Remove those unnecessary fears. The secret is that God is constantly flowing in us. Yoga is the way to realized that. I enjoyed you posting. Now a days I doing yoga practices. No body in my family knows it. I am liking this very much. I am feeling refreshed and energetic every time I do yoga exercise. Yoga is helping me a lot. I do not know why people says “do yoga for your body, and Christianity for your soul”. I am liking my body, never before. Is it against Christianity? I am felling yoga is not only nourishing my body, it is also nourishing my soul. I don’t think there is any conflict. Yoga is great for flexibility and stress-reduction.